I have taken and published one photograph per day for the past two years. I started this in 2013. I had so much fun, that I decided to do it again in 2014, knowing that it would be harder to produce a unique and interesting photograph for a second year running. I used similar tools and methodology in 2014 as I did in 2013. The majority of my photos were taken with a smartphone, the Samsung Galaxy S4. I published most of my photos on Instagram and cross-posted them to my photo archive on Flickr, my Twitter feed, my Facebook feed, and to my Tumblr blog. I relied on IFTTT for automatic cross-posting. I did photo editing using the Instagram photo editing tools (which were much improved in 2014! ), Pixlr Express, or Photo Grid. My approach was the same as in 2013: create a unique and interesting picture. I continued with the minimalist style I favored in 2013. I imposed a hard rule on myself never to skip a day, and I am pleased to report that I didn’t break it. There were a few notable trends in my 2014 Project 365 set. I published fewer photos that included the sky. I took up rock climbing and published a climbing-related photo each time I went to the climbing gym. I took more photos of objects, especially up close. I tried to get better as a photographer. As I expected, doing this for another year was tough, especially with the limits I placed on myself. I do believe that my photography composition and photo editing skills have improved. You can view all the pictures from my 2014 Project 365 here and from 2013 here. I’m not going to discuss every picture, but I want to call out a few that I like. I like how the colors turned out in this picture. Many of the photos I take with my phone are taken in less than ideal lighting situations. I often need to edit them to make details come out. I enjoy taking grid style photographs of everyday objects because the image is like a window into what I was doing that day. For example, I dumped out all the items in my everyday bag and arranged them in this photograph. 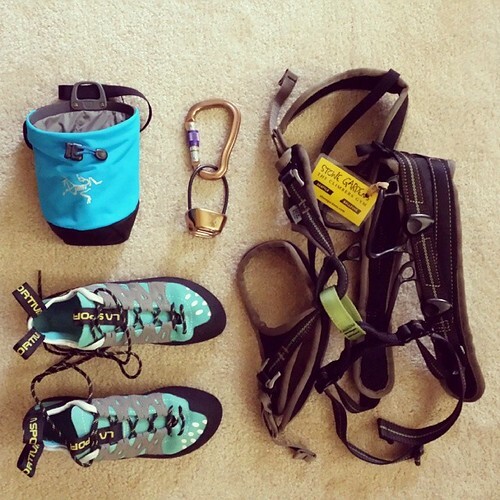 The picture below was taken on the day that I finished obtaining all the equipment I needed for climbing. I wanted to mark that occasion and have a picture of my gear it all got dirtied up with chalk dust and other grime. 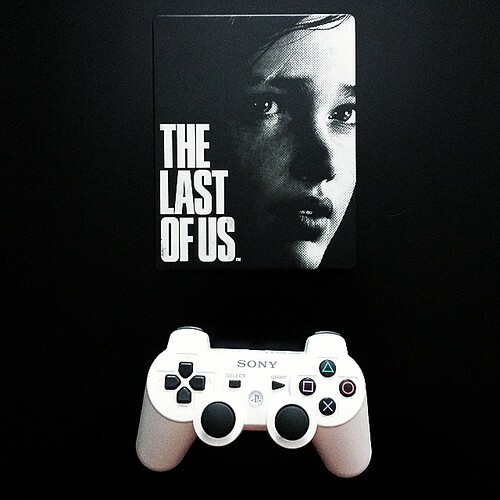 I quickly completed The Last of Us and The Last of Us: Left Behind in preparation for GaymerX2. This photo that marks the start of my adventure in post-apocalyptic future USA. The counterpart to this photo marks the completion of the game. The original photo turned out quite dark. With some editing, I was able to enhance the bright color of the popsicle and this enabled the texture of the ice to become more visible. 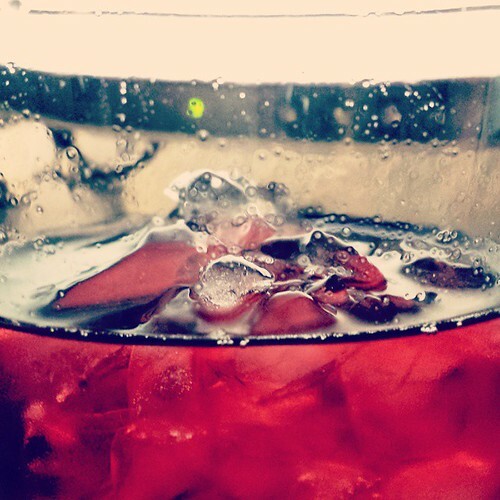 I like how this ice looks with the brightness of the iced tea. This photo was taken at night, but I used the light from my computer monitor to illuminate the drink. 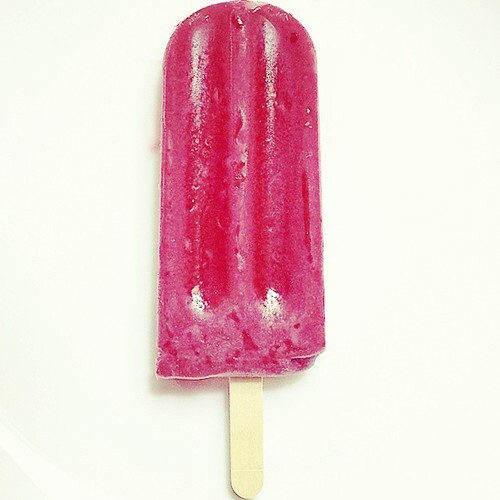 Then I edited it and added an Instagram photo filter. I love architecture. I try to take cool pictures of buildings at every opportunity. 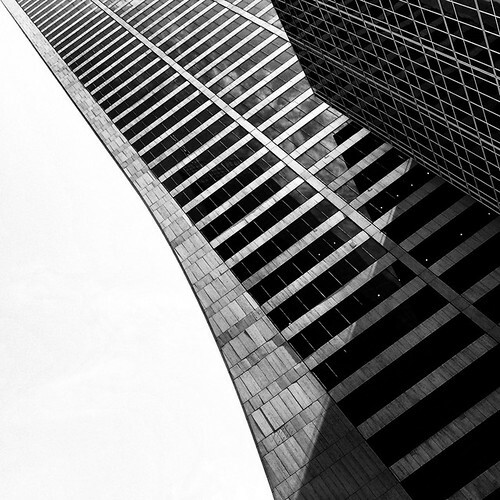 I wanted the Grace Building in New York to look imposing, oppressive, and dizzying, so I opted for high-contrast black and white, and shifted the angle of the photo. I enjoy Frank Lloyd Wright’s architectural designs. 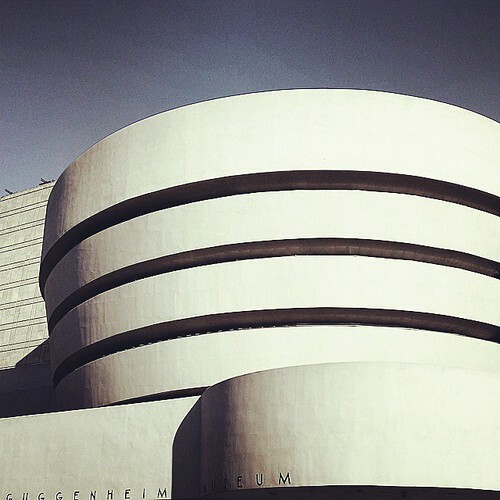 I visited the Guggenheim Museum for the first time in 2014. When editing this one, I tried to focus on the purest elements of the building, cropped everything else out (the museum is on a busy street in the middle of New York), and de-saturated the colors to emphasize form. This was my most-liked photo on Instagram ever, with nearly 500 likes (so far). 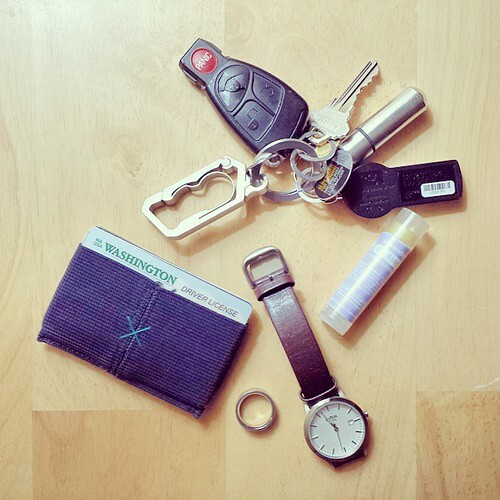 A “pocket dump” photo is a common subject in the Instagram community. As you can see, normally I don’t carry a lot in my pockets or on my person. That blue thing is my wallet. I was waiting for my bus to work. 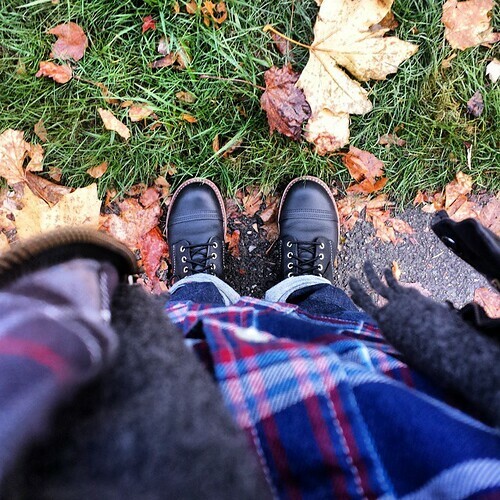 The weather was perfect Seattle autumn weather. Autumn is my favorite season. I felt good about my outfit on this day. I wanted to remember this moment, so I took a picture. This photo turned out quite well, and with some editing, I got the colors to really pop. In 2015, I will try to participate in Instagram’s ongoing Weekend Hashtag Project. 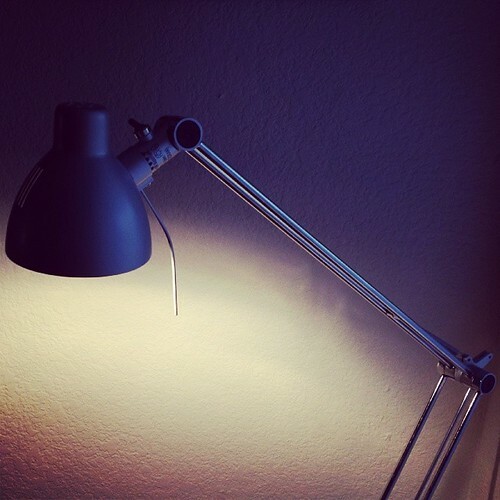 The Instagram Community Team selects a theme, announces it on Fridays, and participants in the Instagram community have the next couple of days to post photos that reflect this theme, tagged with the specific hashtag. Then on Monday, Instagram publishes their favorite photos from the hashtag. I don’t know if I will be able to do all of them, but I’ll try. Aside from that, I don’t have specific goals or plans for photos, and this feels good. Some of the pocket dumps were very good. I still remember Valet Tray http://instagram.com/p/jGJyGaCbM0/ and I was happy to be reminded of Emergency Stash of Headache Pills http://instagram.com/p/rENoajibJX/ .